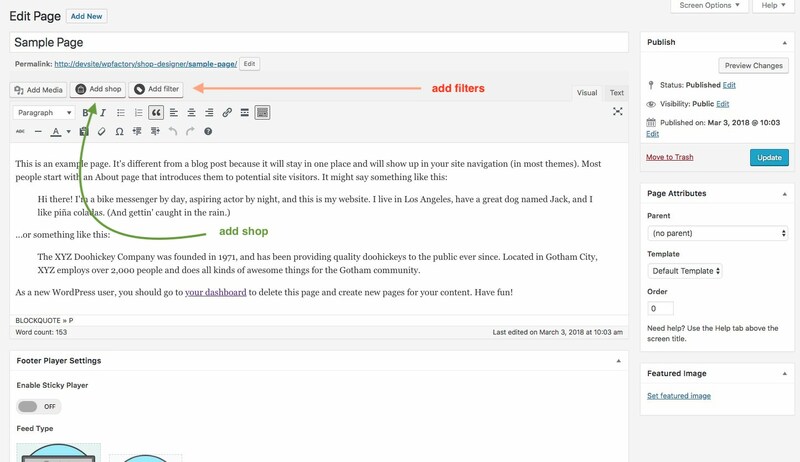 You can now add layouts you create in the Shop Admin into any post or page. To make it simple a Shortcode Generator is included. You can access it via this button. The first button is the shortcode genreator launcher and the second one ( the one with a plus ) ads a single audio player to the page from the media gallery.